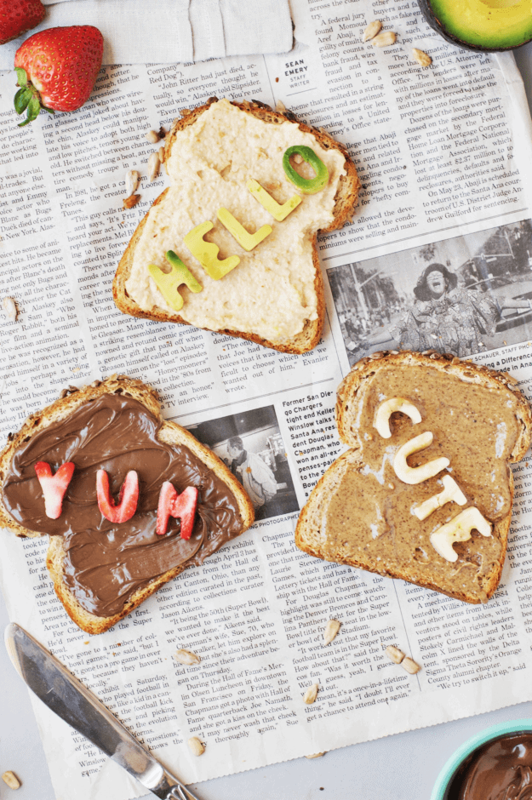 Make the toast of your morning and step up your breakfast game with this conversation toast! It’s a fun and simple way to start off the day. And who doesn’t like having a friendly chat with their breakfast over a cup of tea or OJ? I found these adorable mini alphabet cookie cutters a few weeks ago and knew I needed to use them for toast. I’m a huge fan of avocado toast (who isn’t?) and started with my go-to recipe of hummus and avocado. But I knew it couldn’t stop there! It only made sense to add in my two other staple flavor combos: Nutella with strawberries and almond butter with bananas. Be aware that these cutters can be tricky to remove some of the foods. Because the avocado and banana are so soft, they can fall apart easily when removing from the cutter. 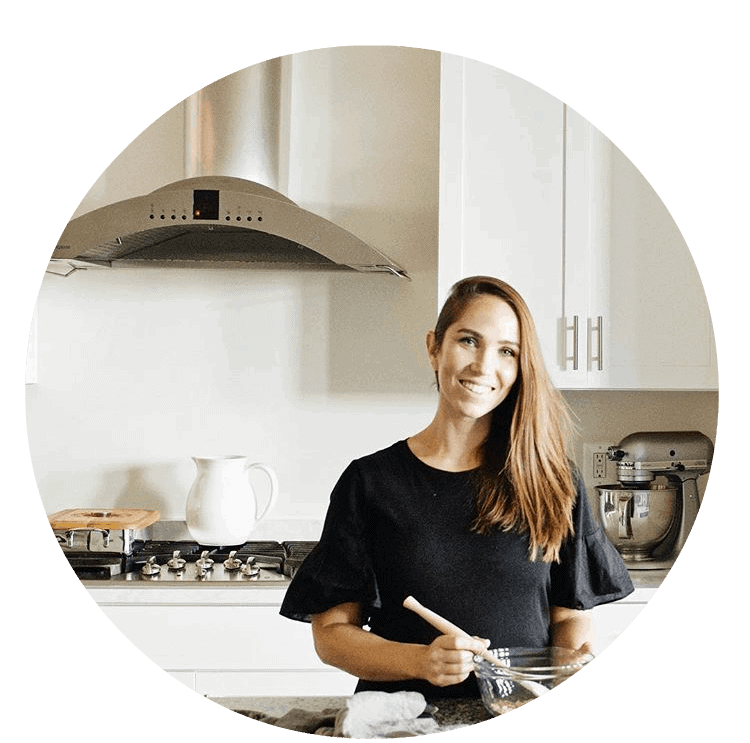 Try to peel the surrounding fruit or avocado from the cutter then use a knife or toothpick to gently loosen it on the edges. It might take a couple of practice rounds to get the perfect shape, but it’s worth it! 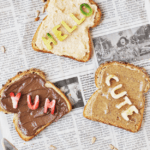 This conversation toast would be fun for birthday breakfasts, holidays, or teaching kids their letters and words. Really, there are multiple options for incorporating it into meals! Grab the specific recipes for this toast below, and as always, enjoy! 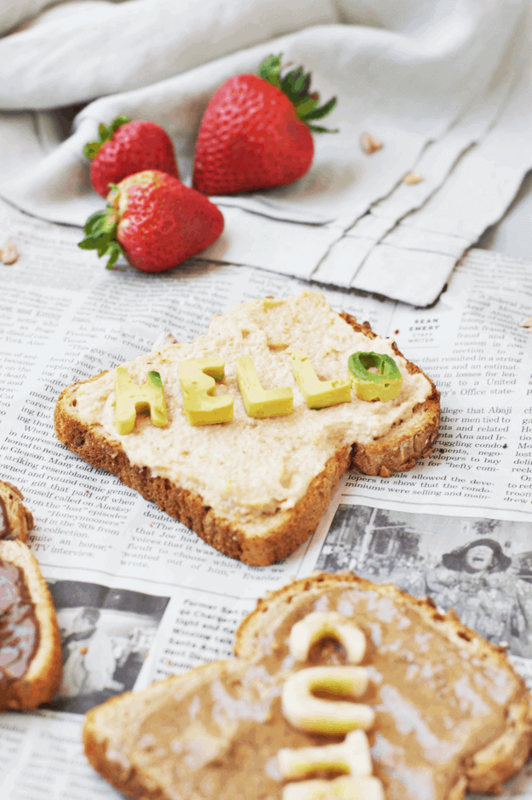 Make the toast of your morning and step up your breakfast game with this conversation toast! It's a fun and simple way to start off the day. And who doesn't like having a friendly chat with their breakfast over a cup of tea or OJ? Prep the toast and spread the butter, hummus, and Nutella on each piece. Find the letters for the words you want to make. Take thin slices of your banana, avocado, and strawberries. Place the cutter directly in the middle and press down firmly. Use a toothpick or small knife to help press out the food letter. Gently arrange on toast. (Bananas go on peanut or almond butter, avocado goes on hummus, and strawberries on Nutella.) Enjoy a nice conversation with your toast and cup of tea.